The concept of the massive, open, online course (MOOC) is not new, but high-profile initiatives have moved MOOCs into the forefront of higher education news over the past few years. Members of institutions of higher education have mixed feelings about MOOCs, ranging from those who want to offer college credit for the successful completion of MOOCs to those who fear MOOCs are the end of the university as we know it. We set forth to investigate the quality of MOOCs by using the Quality Matters quality control framework. In this article, we present the results of our inquiry, with a specific focus on the implications the results have on day-to-day practice of designing online courses. Lowenthal, P. & Hodges, C. (2015). In Search of Quality: Using Quality Matters to Analyze the Quality of Massive, Open, Online Courses (MOOCs). 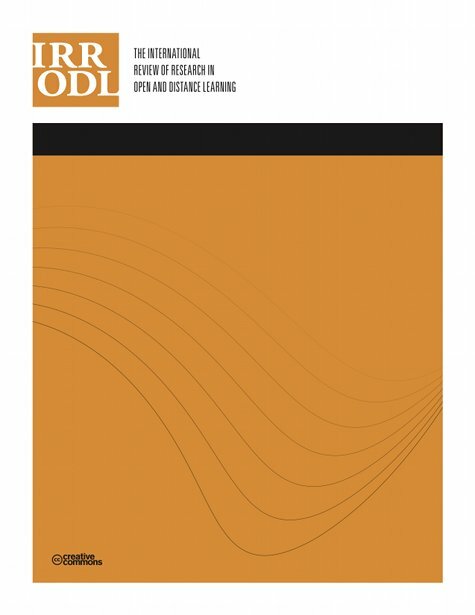 The International Review of Research in Open and Distributed Learning, 16 (5),. Athabasca University Press. Retrieved April 24, 2019 from https://www.learntechlib.org/p/152347/. Adair, D., Alman, S.W., Budzick, D., Grishman, L.M., Mancini, M.E., & Thackaberry, S. (2014). Many shades of MOOCs. Internet Learning, 3(1), 53-72. Allen, M.W. (2003). Michael Allen's guide to e-learning: Building interactive, fun, and effective learning programs for any company. Hoboken, NJ: John Wiley& Sons. Bernard, R.M., Abrami, P.C., Lou, Y., Borokhovski, E., Wade, A., Wozney, L., Wallet, P.A., Fiset, M., & Huang, B. (2004). How does distance education compare with classroom instruction? A meta-analysis of the empirical literature. Review of educational research, 74(3), 379-439. DeBoer, J., Ho, A.D., Stump, G.S., & Breslow, L. (2014). Changing “course”: Reconceptualizing educational variables for massive open online courses. Educational Researcher, 43(2), 74-84. Duffy, T.M., & Kirkley, J.R. (Eds.) (2004). Learners-centered theory and practice in distance education: Cases from higher education. Mahwah, NJ: Lawrence Erlbaum. Glass, G.V., & Smith, M.L. (1979). Meta-analysis of research on class size and achievement. Educational Evaluation and Policy Analysis, 1(1), 2-16. Jaggars, S.S. (2011). Online learning: Does it help low-income and underprepared students? (CCRC Working Paper No. 26, Assessment of Evidence Series). New York, NY: Columbia University, Teachers College, Community College Research Center. Kilgore, W., & Lowenthal, P.R. (2015). The Human Element MOOC: An experiment in social presence. In R.D. Wright (Ed. ), Student-teacher interaction in online learning environments (pp. 389-407). Hershey, PA: IGI Global. Lockee, B.B., Moore, M., & Burton, J. (2001). Old concerns with new distance education research. EDUCAUSE Quarterly, 2, 60-62. Margaryan, A., Bianco, M., & Littlejohn, A. (2015). Instructional quality of Massive Open Online Courses (MOOCs). Computers& Education, 80, 77-83. McDonald, J. (2002). “As good as face-to-face” as good as it gets? Journal of Asynchronous Learning Networks, 6(2). 10-23. Meyer, K.A. (2002). Quality in distance education: Focus on on-line learning (ASHE-ERIC Higher Education Report). San Francisco, CA: Jossey-Bass. Palloff, R.M., & Pratt, K. (1999). Building learning communities in cyberspace. San Francisco, CA: Jossey-Bass. Ralston-Berg, P. (2014). Surveying student perspectives of quality: Value of QM rubric items. Internet Learning, 3(1), 117-126. Russell, T.L. (1999). The "no significant difference" phenomenon. Raleigh: North Carolina University. Shattuck, K. (2007). Quality Matters: Collaborative program planning at a state level. Online Journal of Distance Learning Administration, 10(3). Wiley, D. (2002). The Disney debacle: Online instruction versus face-to-face instruction. TechTrends, 46(6), 72. You, J., Hochlberg, S.A., Ballard, P., Xiao, M., & Walters, A. (2014). Measuring online course design: A comparative analysis. Internet Learning, 3(1), 35-52.